ENERGY SAVING SOLAR! 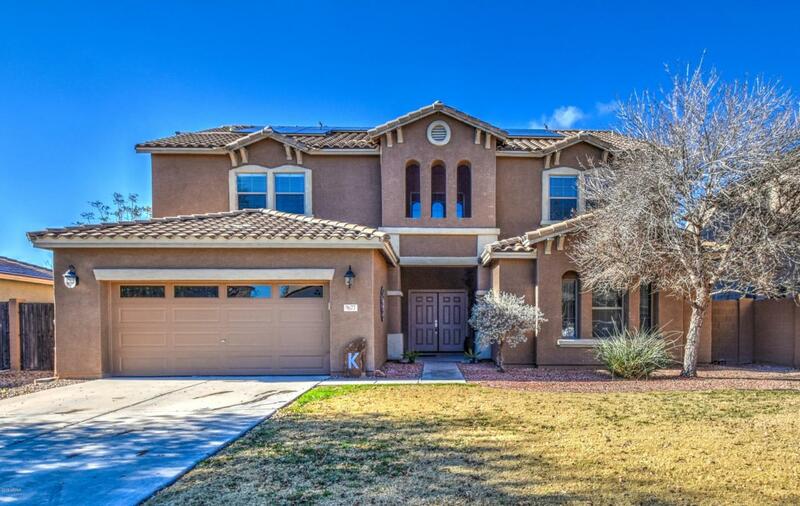 Spacious 2-story home w/2 master suites-1 on each level. Mountain views & borders common area. A 2-story entry with double entry doors & wooden banisters leading upstairs. 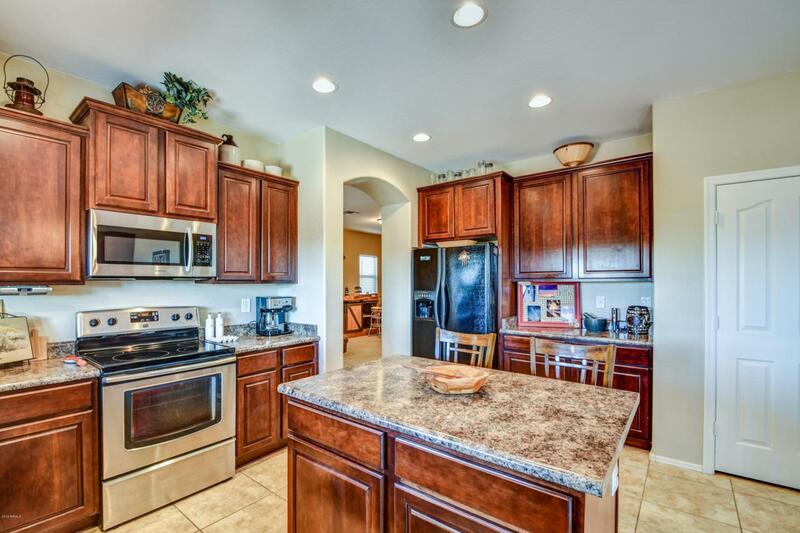 Beautiful kitchen, dark cherry cabinets, faux granite counter top, island, stainless appliances & large pantry. This home features more fabulous living space w/formal dining & living, media room, large laundry room, versatile loft & additional bedrooms upstairs. 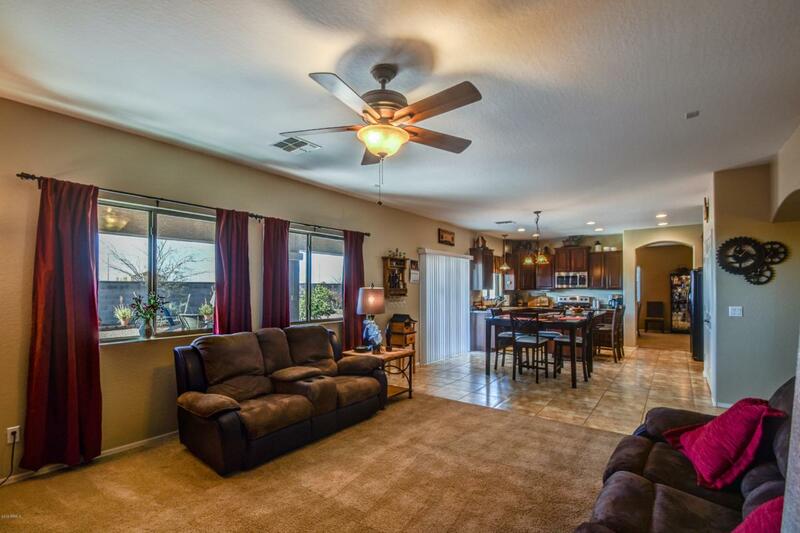 Bedrooms have ceiling fans and full bathrooms. 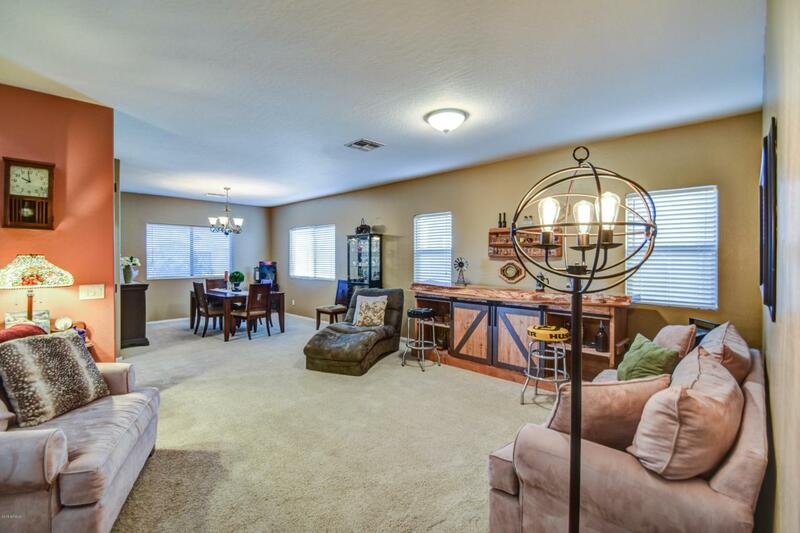 Huge master bedroom, bath & walk in closet, 2 sinks & separate tub & shower. Appealing backyard has extended rock patio, ceiling fans, N/S exposure, mature fruit trees & landscaping. RV gate on side & 3 car tandem garage with built in workbench. Washer/dryer/fridge in garage convey w/sale.